summer | I Wanna Bake! You might recall that my husband and I created a chocolate strawberry pie many moons ago that we ended up serving at our wedding (among others). Sadly, Josh had to make some drastic dietary changes about a year or so ago, one of which involves strictly limiting the amount of chocolate he consumes. Rather than swearing off our strawberry pie altogether, I decided this called for a new recipe. This one’s almost nothing like the old one, but it is equally delicious. Welcome to the sixth installation of my Marvel Cinematic Universe (MCU) baking series! Today, we’re covering a big one: The Avengers. Happy belated Independence Day! My procrastination worked out well enough this time, as I’ve got a dessert based on Captain America: The First Avenger, a.k.a. Marvel’s most star-spangled, patriotic superhero, to share with you today. I will confess that I’d been putting this one off because I just couldn’t get into any of the ideas I came up with. For a couple weeks, it was between Captain America shield black and white cookies (because Brooklyn) and self-saucing puddings (because super soldier serum injection). Unfortunately, while those were both good ideas (and you may see them in the future), they just didn’t seem right. Back to the Marvel Cinematic Universe (MCU) baking series! Remember when I said that I’d have to postpone my Iron Man 2 bakeventure due to the seasonable availability of a particular fruit? Well, the season is now upon us. 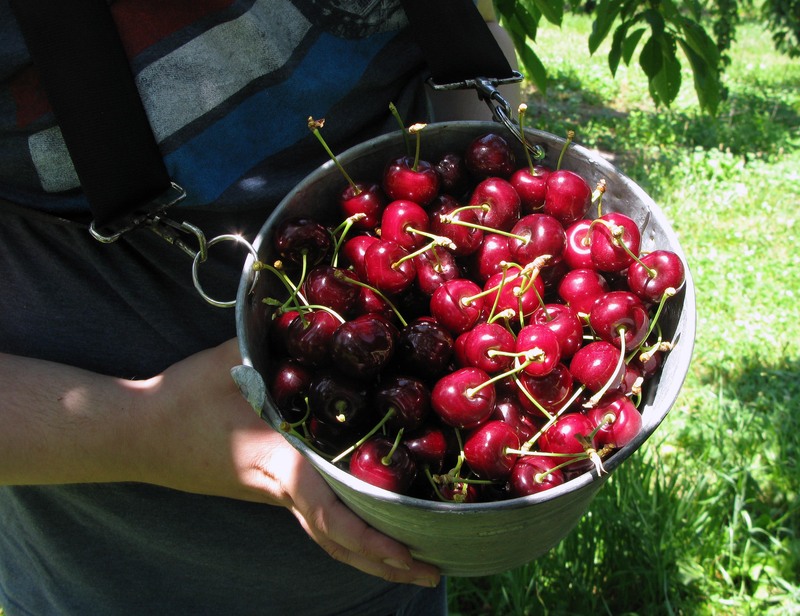 Apriums are ripe and available for the month of June, so stock up as soon as you see them hit your grocery store, because they likely won’t be around for long. ‘Tis the season of blockbuster movies, and I for one am getting back into the summer Marvel movie hype with gusto. I saw Guardians of the Galaxy Vol. 2 on opening weekend, and it reminded me of a challenge I’ve been talking about for awhile, but never gotten the motivation to start: baking my way through the Marvel Cinematic Universe. When’s the last time I wrote about pie? July 8, apparently. In other words, far, far too long ago. I had a craving for fruit pie last Saturday, so I knew what I would be baking before I made my final grocery list for the week (a rare circumstance for me). Blueberries are still in season, and I had made an impulse purchase of a bag of limes the week before (my impulses are a little weird), so for once, the decision process was fairly straightforward. Somehow, summer is almost gone, and we’re gearing up for the season of pumpkins, apples, and cinnamon. Yea, fall! As the dog days of summer begin to give way to the promise of cooler weather and shorter days (in the northern hemisphere, at least), I’m doing my best to make good use of the last of summer’s seasonal produce. Just a few days after discussing the differences between cobblers, crumbles, and crisps, I found the biggest peaches I have ever seen during a recent trip to the grocery store. Clearly, a peach cobbler/crumble/crisp was in my future.